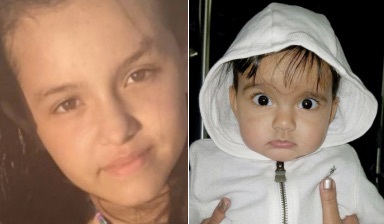 Jazmine Marin, 13, and Navraj Raju, eight months, were killed by motorists in separate crashes in Queens last week. Prompted by the recent deaths of two children at the hands of reckless drivers, Transportation Alternatives and Families for Safe Streets will lead a protest at City Hall this evening to call on Mayor de Blasio to accelerate the pace of life-saving street redesigns. Last Monday, October 24, a motorist in a muscle car hit two teenage girls as they walked to school on Cross Bay Boulevard in Ozone Park, killing 13-year-old Jazmine Marin. On Friday an unlicensed van driver ran over 8-month-old Navraj Raju as his mother pushed him in a stroller on an Astoria Boulevard sidewalk. The first driver faces no charges or traffic violations, the second was charged with unlicensed operation — a low-level misdemeanor — but not for taking a life. Cross Bay Boulevard is a Vision Zero priority corridor. According to TA, two-thirds of all traffic fatalities since the beginning of 2015 have occurred at locations identified by DOT as in urgent need of safety fixes. But de Blasio denied the City Council’s request to increase DOT funding for street improvements in the latest budget. Tonight’s event will begin on the City Hall steps at 6 p.m.